Charlotte View listens again to a past episode with Ann Carter. She is an amazing Master Spiritual Teacher. She has the innate ability to see, hear and understand what is beyond our human senses. 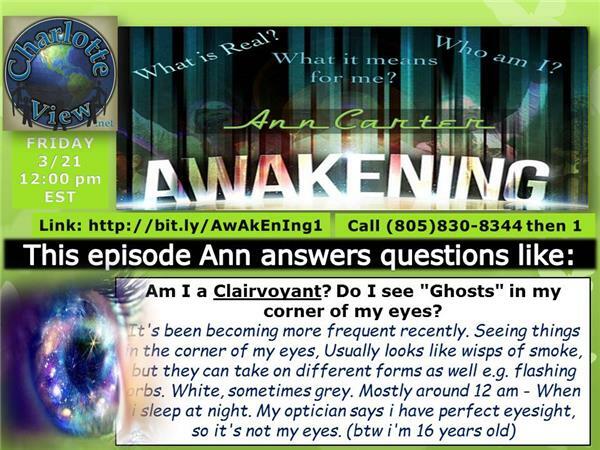 Ann Carter knows a lot and she will share all she has learned about clairvoyance- which means the ability to see clearly. 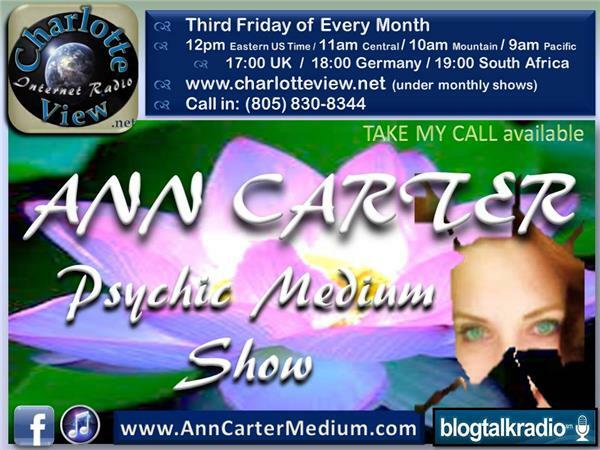 Ann will be taking calls from listeners with questions about clairvoyance. Clairvoyant capabilities can be developed with patience and constant practice. Ann will share some techniques to do so.